It is very sad how people fall for fast money schemes like this. People like money but they don’t want to work for it. Many people have unrealistic expectations for making money online. Tis makes them easy target for scammers. Today, I am going to debunk a popular online scam site I stumbled on. It is called replace you job. This particular website is one of three that are advertised together as the top three work at home jobs. Funny thing is, all three site advertised, look exactly the same. The same logos of renowned TV stations like CNN, ABC, NBC and more are displayed on their site as a way to fool people into thinking that they are legitimate. The use of urgency is a big red flag when it comes to scams. If you try to leave a website and a pop up tells you to stay for a special offer which in turn tells you how you should hurry because there are only 9 positions in your area, run away don’t walk. Any legitimate business will not make you feel the need to rush into their program. To make matters worse, this program tells you how there are only 15 people accepted per city at a given time. All of these things are said to make you feel that this is some very special program when it is actually a scam. Another tell tale sign of scams is the use of emotional appeal to get people to join a program. If it were a fund raising campaign for poor children around the world, I will understand the emotional appeal. I don’t see why any legitimate business will want to use such an appeal when they could use their achievements instead. In the case of replace your job, emotional appeal is used in the story told by Kelly Simmons who is the owner of replace your job. She is also the owner of home jobs today where she tells the same sob story. This popular story is about the sad day she lost her job and had to survive as a single mom with no job until she meet a nameless man who taught her how to make lots of money online. Sounds familiar, it is probably because there are about a dozen sites telling the same or similar sob stories. Replace your job does not have any real achievements to show in terms of successful members. All they do is flash fancy cars, houses, yachts e.t.c. Every time you try to close the page at replace your job, a pop up appears convincing you to stay for special offers. Initially, the fee is $97 then as you attempted to leave, you are offered a discount that brings your fee down to $77 and another one which brings it down yet again to $47. All these attempt to keep you on their site is a desperate attempt to swindle you of your money. The top secret money making strategy replace you job claims to teach is an evil version of a legitimate business strategy called affiliate marketing. 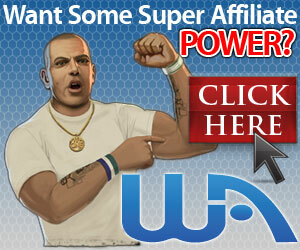 Basically, they claim that there are many companies ready to pay you to paste links for them. This claim is some what true because in affiliate marketing, companies like eBay, amazon, Netflix and many others will pay you some money when you refer people to buy their products and services. Affiliate marketing is a type of marketing where someone called a publisher, writes reviews about products of a particular company or merchant. This publisher is paid a percentage of the sale price of that product as commission when someone visiting their site, goes to the merchant’s site and buys this product. Let’s say a publisher writes about a sport stroller sold by amazon. Person A comes to the publisher’s site, read about this sport stroller and follows a link to amazon and buys the sport stroller. Amazon will pay a certain percentage of the sale price to the publisher as commission. Now back to replace your job review; when they say many companies will pay you to post links, they deliberately fail to mention that legitimate companies will not give you their links till you prove to them that you have a legitimate site of your own. According to them, you can post these links on your social media accounts and hope that someone will click on it. This is so because many of the links you post will lead right back to them. You will be sending innocent people to a place where they will be fooled to spend their hard earned money. Some legitimate affiliate programs let you post their links directly to some social media platforms but this is only after they have verified and approved your website. Before you refer any product, you need to believe that whatever you are referring will benefit that person in one way or another. I cannot recommend replace your job to anyone because they don’t have an actual product. What they claim to teach can be learned at many legitimate sites for free. 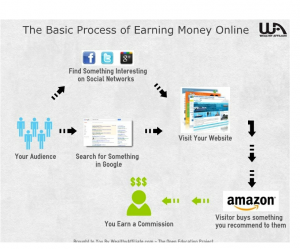 If you want to learn affiliate marketing techniques for free, visit wealthyaffiliate.com. Many legitimate businesses offer new members free membership. With this free membership, people have time to learn about the program before making up their minds to join. There is no such offer at replace your job. Instead, you are told how it is important for you to act immediately since openings are limited. Don’t fall for this scam, keep your money and do something important with it. Please leave a comment, review or question.